Vype have been trying to keep pace with the vape market although it seems they are slightly behind the curve. The Vype eStick, Vype e pen and Vype e Tank range aimed at light to moderate smokers has now been strengthened by the introduction of their new mini Box Mod, the Vype eBox. Box Mods, like the Vype eBox are popular primarily because of their ability to hold more e liquid and often have a longer battery life per charge. However, they are significantly larger and bulkier than your typical e cigarette. In the early days of e cigarettes, which was not that long ago, many of the smaller e cigarettes that were available did not offer the would be vaper trying to transition away from smoking a solid device that was reliable. Many of those trying e cigs were not convinced. 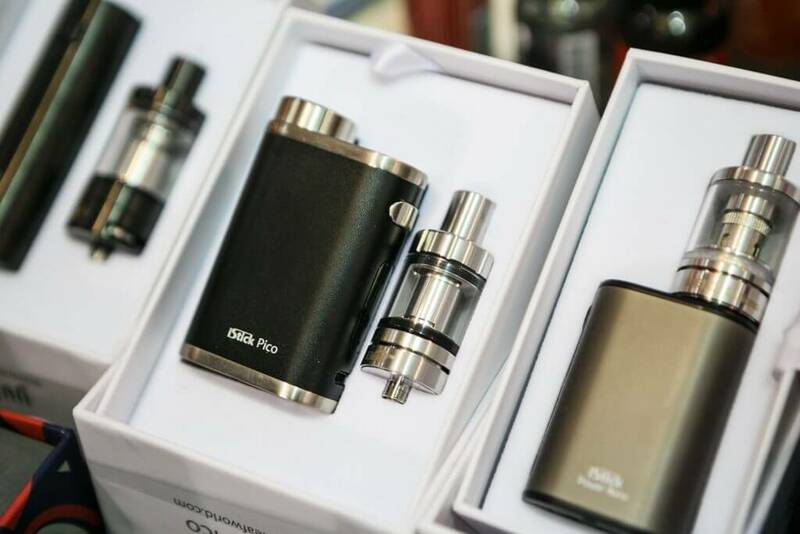 To compensate for this lack of reliability, a niche market was established and some manufacturers started to offer much larger devices that had the capacity required to offer smokers a viable e cigarette device. Bigger & stronger batteries and components were able to give the required nicotine hit consistently. Thus box mods started to become popular and gain a good following. Box mods have now further developed, offering a whole new world of technical choices and vapers can choose between all sorts of devices offering standard vaping or sub ohm vaping, build your own coils and wicks and a whole range of vaping paraphernalia and accessories. A new “sport” has developed. The Vype ebox is not however an advanced sub ohm mod. Subsequently however, with advances in technology, a number of e cig manufacturers have now developed much smaller cig-like e cigarettes, (around 1/5th of the width) that are now reliable and offer good battery life. They give the consistent vapour demanded by smokers wanting to move to vaping and want something a little more discrete than a box style vaping device. Vapers now have a good choice of reliable small scale e cigs and vape pens available to them and can now choose to vape with larger devices or use the simpler and less awkward smaller devices to get their nicotine hit. See the best smaller e cigarette reviews here if you are looking for something small and less complicated than an eBox. Like all box mods, the Vype eBox consist of 2 main parts, the Vype eBox battery module and the Vype eBox glass tank which is used to hold your e liquid. 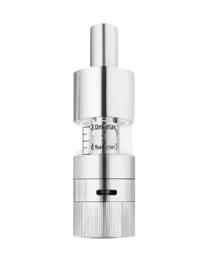 Contained within the eBox tank is a replaceable atomizer. Over time each of the parts will need replacing as they are used. 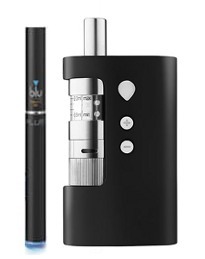 The device is regulated so that the user can adjust the power (Wattage) used to vaporize the e liquid which in theory gives the vaper a choice of temperature at which the e liquid is vaporized. The buttons to adjust power on the device show “+” and “–” and the small OLED screen on the top of the box shows the output in watts (W). Increasing and decreasing power gives the user the ability to use the device with various e liquids which have different optimised temperatures at which they operate best. Too low a wattage and the flavour and vapour will not be adequate, too high a temperature and you will just get a burnt taste. The user is required to alter the power and in conjunction with the variable airflow establish their optimum draw and vape experience. This is all pretty much standard box mod vaping. The eBox has a number of safety functions including automatic shut-down if inactive for 15 mins and over voltage/temperature protection. Charging automatically cut off after 4 hours. The tank is glass with 2 ml capacity and is filled from the top meaning you don’t have to remove the tank each time it runs out of e liquid. The battery is a 2000 mAH so will last vapers all day. Wattage is variable between 4 Watts to 12 Watts with the power being supplied to the 2.1 ohm coil. The Vype eBox is a compact box mod device that is well designed and gives vapers a degree of control over the temperature at which their e liquid is vaporized. The device is very well made consisting of quality materials like glass tank and steel body. 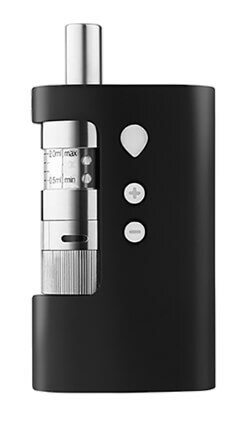 However, Vype do have a lot of competition and pricing the Vype e-Box at around the £45 mark does put it in the same price bracket as top quality mod devices like the Kanger Topbox and Innokin iTaste Kroma which are superior devices. Both devices offer significant advantages over the eBox with respect to functionality and compatibility. Vype priced the Vype ePen and Vype eTank at lower levels than many of their competition which gave them a price advantage, they have not done this with the e-Box. If some vapers want adjustment functions for vaping which is what the world of box mods is about then the eBox, like the Vype Pebble falls short. The competition in the same price bracket, offers power up to 50 Watts plus and includes the ability to experience sub ohm vaping by switching out the atomizer/coil. Furthermore, the specific tank design of the Vype eBox tank is not compatible with industry standards so the user does not have the flexibility to use alternative tanks. At this price (best price here £43.98) there are simply better and more powerful and versatile box mod devices. To replace the atomizer in an eBox is a 7 stage process and involves opening up the tank which means messy e liquid! If you want a Vype e cigarette then the Vype eTank is a better alternative, smaller, less expensive and works. For those new to vaping and looking to transition away from smoking the box mod devices are simply too large and will not help in making a painless transition. By far the better choice is to go with a quality vape pen which will feel far more familiar and deliver your nicotine without having to worry about Ohms Law. 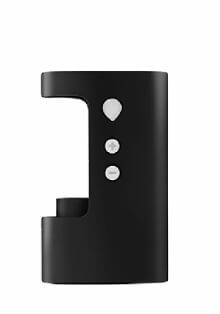 A well designed neat vaping device that is designed to offer vapers a more flexible vaping experience. All day vaping with good battery spec. With limited power (temperatures) and a price tag that sits in a bracket that includes some proper more powerful and flexible box mod devices the Vype e-Box falls short. Its inability to accommodate other tanks and coils and sub ohm options appears to defeat the objective of box mods. Advanced vapers will look elsewhere. New vapers wanting to transition away from smoking would find a quality smaller scale e-cigarette a better choice.